New! 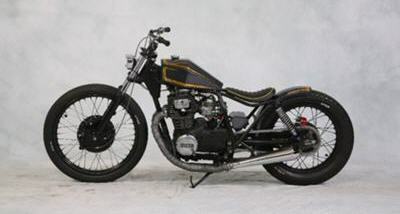 How To Build A Motorcycle Like This Show Winning Low Budget XS400 Build! Our new mini course called How To Build A Motorcycle will provide a basic overview of what you need to do and what you need to consider as you learn to build your own motorcycle or chopper. How To Build A Motorcycle From The Frame To A Road Worthy Bike! As you learn how to build a motorcycle you'll shop for forks. And most modern factory produced motorcycles will have these motorcycle forks. In hydraulic forks one single closed unit contains both the shock and spring. This means that you aren't able to actually see the spring. When choosing a hydraulic shock you must ensure that you get the right kind for the type of motorcycle you are building. 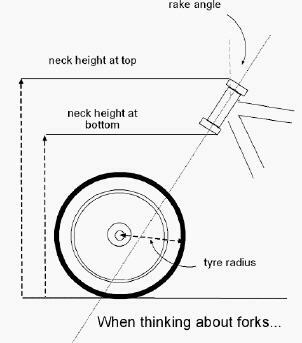 The forks need to be compatible in length for the overall set up of your motorbike. Motorcycle and chopper forks come in various lengths. But how do you know which length will work on your bike? The easiest way to figure this out is to measure. Fit the rear wheel and block the bike up to the height you want (riding height). And then at this point measure the space that you motorcycle forks will be fitting into. Side Bar: You should first have the wheels and tires you're going to use on your bike.